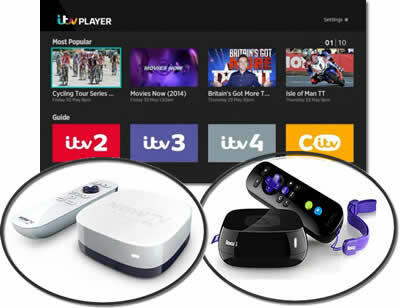 Viewers of UK free to air service Freesat will soon be able to catch up on any missed tv shows with the launch of iPlayer and ITV catchtup tv service. 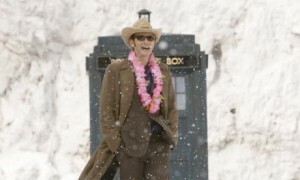 The iPlayer will be available on 7th December and ITV’s player will follow early next year. Freesat is the very first free to air service to have the ITV Player in its arsenal, allowing viewers to watch tv-on-demand content straight from the TV screen instead of via a PC. Virgin Media and BT Vision already have ITV Player but they are subscription based services. Its exciting times for Freesat offering catch-up TV services with a scaled down and ‘limited’ version of the iPlayer set to launch on 7th December for select number of viewers. Freesat said it was aiming to launch an open beta version of the iPlayer, accessible to around 230,000 Freesat households with compatible set-top boxes, by Christmas. The Freesat iPlayer offering will provide 450 hours of BBC on-demand programming per week, including Top Gear, EastEnders, Life, Gavin and Stacey, and Christmas special The Gruffalo, for viewers to watch for up to seven days after the programmes have aired on TV. A full public launch is planned for early 2010. Freesat also said today that it had added more than 200,000 new households in the three months to the end of September, to take its total customer base to 750,000. The growth rate between the second and third quarters of 2009 was 42%, Freesat said. Emma Scott, the managing director of Freesat, said that the deals to launch the TV catch up players were a milestone for the fledgling service. “Almost 30% of all iPlayer viewing is on Virgin Media’s platform, which means it could be fantastically popular for us,” Scott added. She said that 80% of all Freesat receiver equipment sold did not have personal video-recorder capability, meaning that catch up TV services would be a boon for viewers. “These deals give the service another string to Freesat’s bow,” she said. Also today, Virgin Media announced that it would launch advertising on its on-demand TV service for the first time. Ads will run across its wholly owned channels Living, Virgin 1 and Bravo, starting in 300,000 households – out of a total of 3.7 million subscribers. Virgin Media is aiming to cash in on the 66 million views of on-demand content each month via its on-demand service. The company is also in discussions with ITV about introducing advertising around its ITV Player service. Channel 4 runs ads around the 4oD programming on the Virgin Media service, but these are “stitched in” to the shows and cannot be dynamically changed. Great news for Freesat owners with all that great xmas programming to catch up on. And hopefully the catch up services will soon be rolled out on every connected device.